If there is a "Top Ten" for the personalities that had the greatest effect on the development of racing in America Roy Richter would certainly be included. Art Bagnall's book, Roy Richter, Striving for Excellence (out of print) is the definitive work on Roy, his accomplishments, and Bell Auto Parts. This is a must have for your library and if you see a copy used take it home with you. It was the inspiration for this site and this pursuit. Roy was a wining driver and an accomplished chassis and body builder. He built some of the most beautiful midgets, sprints, and champ cars. He won the National Championship with his "Richter Streamliner" (Rail and Tether Cars) that he manufactured and sold before the war. He already had a strong reputation in racing when he purchased Bell Auto Parts from George's widow in 1945. Roy had a great sense for business, he had experience selling through the mail with his tether cars, and placed himself in exactly the right place at exactly the right time. There was a huge burst of racing activity after the war. The HOPUP market (that had really begun before the war) was exploding. There were many racers and craftsmen that had developed speed parts. They made heads, cams, manifolds, flywheels and other items. They would be successful if they could just "go to market." Roy placed Bell Auto parts between these "manufacturers" and the huge demand that was building. He signed up many of these companies and became a distributor for names like Iskenderian, Edelbrock and Wieand. In 1946 Roy stapled up the first catalog of racing parts and "Racing's General Store" was born. The second huge effect that this strategic decision had was it made it easy for small shops across the country to deal with one company and add a full line of speed parts to their available inventory. Local racing got a huge boost and a whole industry was born. 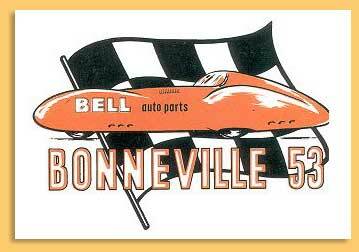 By 1948, Bell Auto Parts had thousands of independent dealers and was a national catalog business. The customer or reseller could choose from some 10K items to support his racing interest. Roy and Bell Auto Parts never stopped developing products in house. The famous Bell steering wheel and the "Dural" hand pumps are among the most recognizable. In the early 50's the Cragar name was used on many parts, like transmission adaptors. In 1952 Roy started a foreign car dealership for British cars. He sold MG, Austin Healy, and Jaguar.